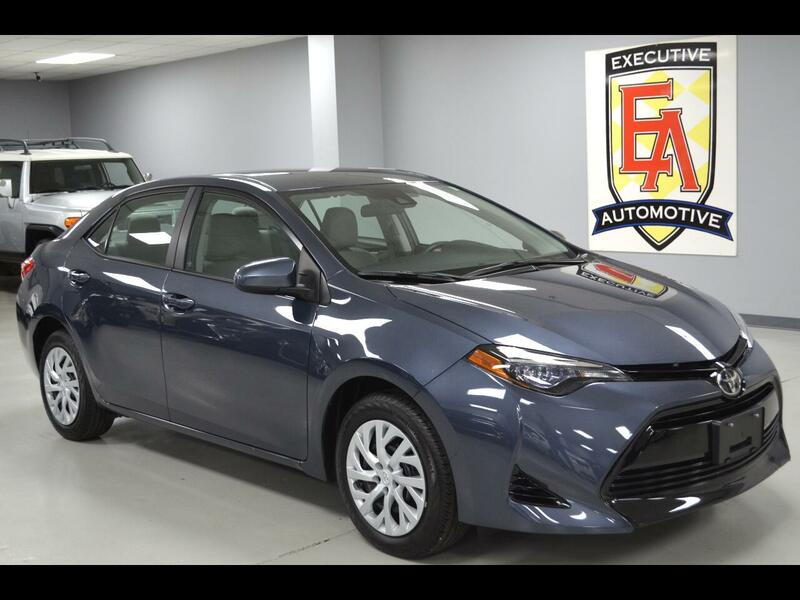 2018 Toyota Corolla LE, Gray with Light Gray Cloth, Options Include: Back-Up Camera, Adaptive Cruise Control, Lane Departure Waring, Lane Keep Assist, Brake Assist, Bluetooth Connection, Auxiliary Audio Input, CD Player, MP3 Player, Smart Device Integration, Steering Wheel Audio Controls, Fog Lights, Tire Pressure Monitoring System, Keyless Entry, Heated Mirrors, Power Windows, Power Locks, Power Mirrors and more! Contact Kyle Porter at 816-616-2500 or email: kyle@executiveautomotive.com for additional information. Thanks for your interest in our Corolla!